Luva came full of energy in to the family and did her best to turn our house upside down. This is our daughters dog. Luva started her show career with a few nice results in puppy class, as BIS 7 at the Cup -05. After winning the junior class with CQ, Luva trotted her way up to a second best female placement at her first try in official class. During the autumn 2005 Sarah and Luva attended a new beginner agility course and they both show great talent. In March 2007 Luva had a litter, of 7 pups, at kennel ArbaQ's. In 2008 Luva is focusing on agility again and she loves it! She took her first leg in agility class 1 on first try, Oct 5. The 16-17th of May Luva won 4 classes and 4 legs and were upgraded to class 2, both in agility and jumpers. September 2010 she was upgraded to class 3. 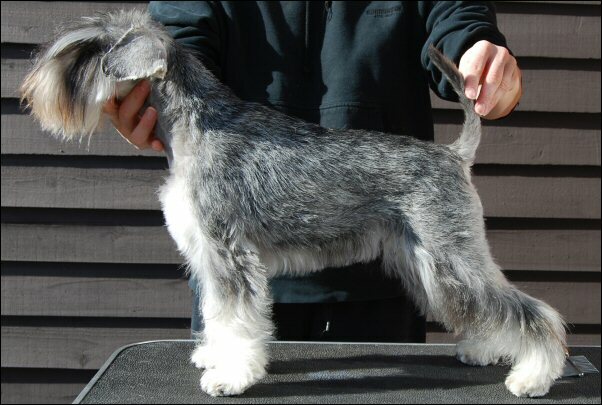 Yet another miniature schnauzer moved in May 2011. Little Toya from kennel ArbaQ's. Toya is a sweet and cuddly girl. She has been to a few shows with nice results, she has a BIS puppy från specialty show and CQ. 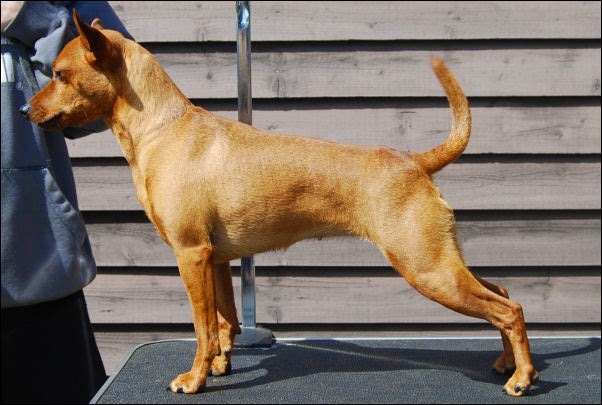 In October 2013 she had her first litter, with consisted of a singleton female pup, ArbaQ's Sockervadd, at kennel ArbaQ's. In october 2015 Sockervadd became SE UCh Dk UCh. In April 2014 her second litter, of 4 pups, were born. On the last day of the year, in 2012, little Lilly moved in. A new puppy and a new breed. Lilly is born in Finland but I have her on a breeders term from kennel Andeless, who breed Lilly's mother. Lilly is a crazy, happy girl with bouncing paws! She's done really well at shows with several BOB puppy and, as an adult, several placements in best female. 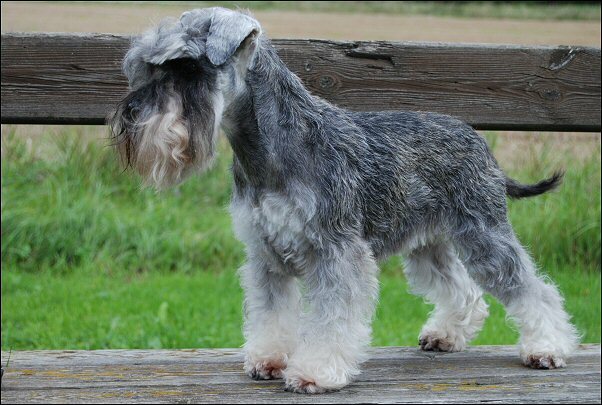 In September 2016 she won the last CAC for her champion title at a schnauzer/pinscher show. In June 2015 she had her first litter at kennel Andeless, 2 boys and 1 girl.